Lightly regarded MLS reject Justin Braun may not have had a convincing top level career, but USL Pro appears just right after the former Chivas USA striker scored the Sacramento Republic’s inaugural goal in a 1-1 draw against the Galaxy II Saturday night at the StubHub Center track and field stadium. A crowd of 1,085, including visiting Republic fans, watched former Chivas USA coach Preki almost steal a point against an old foe before sub Chandler Hoffman equalized late in the game. 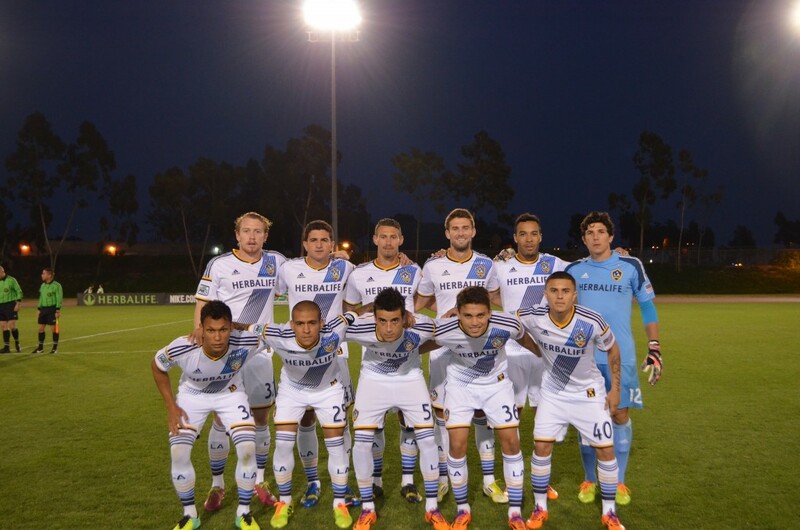 LA Lads: How many of the Galaxy II starting XI can you name? (Photo courtesy LA Galaxy). The Republic returns to the South Bay April 7 to play a game at the same venue against Chivas USA reserves. This entry was posted in Galaxy, United Soccer League by Nick Green. Bookmark the permalink.